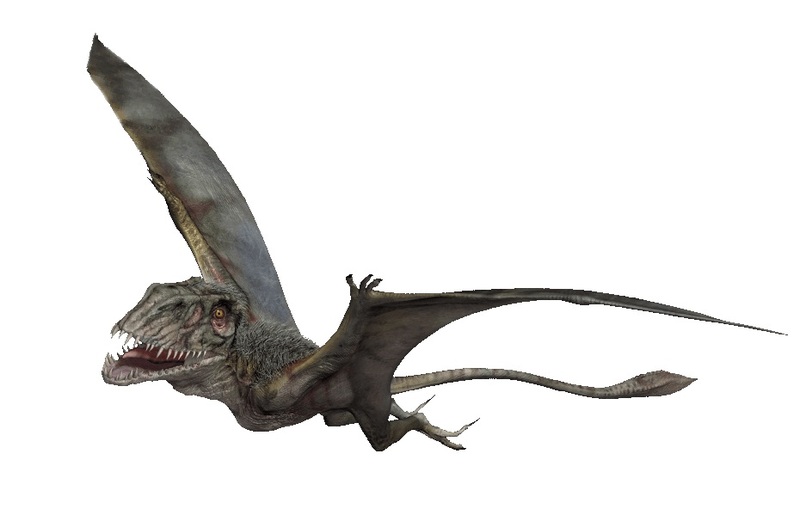 Dimorphodon is a genus of flying reptiles that falls under the pterosaur group and includes two species – the Dimorphodon macronyx and the Dimorphodon weintraubi, with the former being the type species. The creature has not been classified as a dinosaur, though they were contemporary to each other and lived during the Early to Mid-Jurassic period in the landmasses of modern-day Europe and Central America. In 1828, the fossilized skeleton and bones of the dimorphodon were first discovered in England, UK, by an English fossil collector, dealer, and paleontologist named Mary Anning at Lyme Regis in Dorset, the region of Britain which has now been declared as a World Heritage Site and dubbed the Jurassic Coast. Later, in 1859, the creature was named by British biologist Richard Owen. 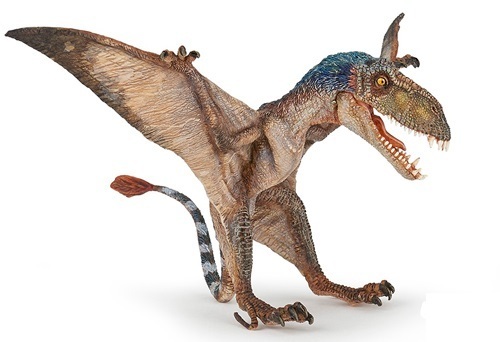 The name of this prehistoric flying creature means “two-formed tooth” in Latin. It was thus named since it possessed two different types of teeth lined in its jaws. 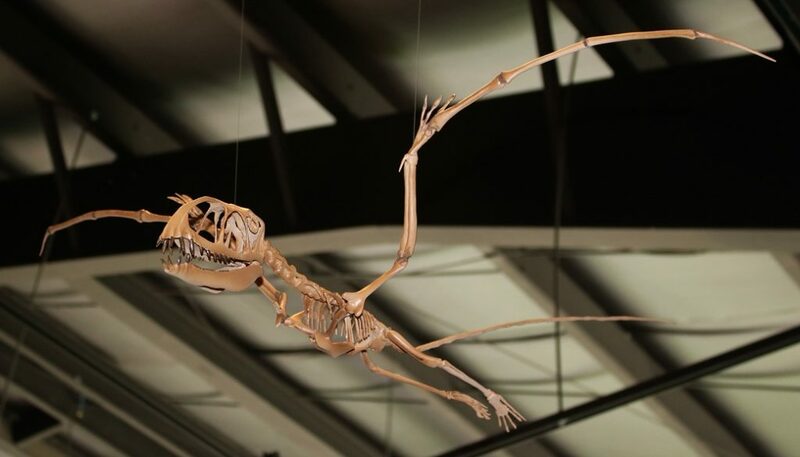 The body of the adult dimorphodon is believed to have been no more than that of a large American crow with a body length of usually 1 meter (3.3 ft), and a wingspan of 1.45 meter (4.6 ft). They had a long tail consisting of thirty vertebrae each of which gradually expanded towards the tip. 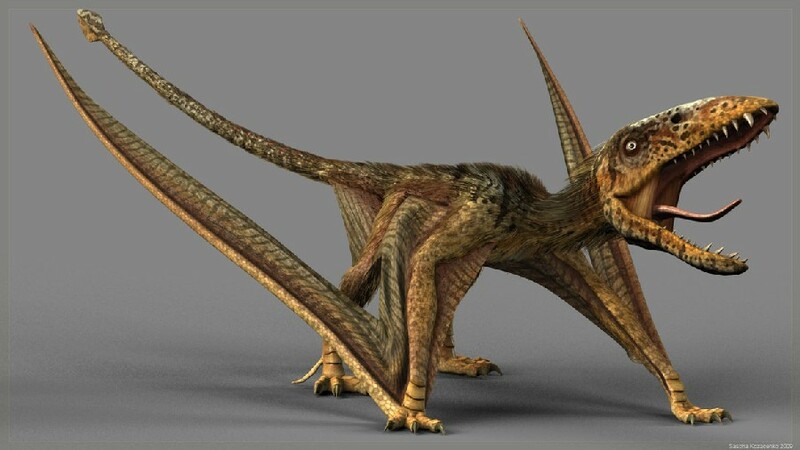 They had proportionally short wings with their clawed legs attached to them that were used for catching prey and as a defense against the enemies and predators. The skull (head) of the creature was large and bulky (especially because of the series of teeth and strong, large beaks) with a length of about 23 cm, and the neck was short but strong and flexible. Because they hunted fish, biologists believe that the creatures had waterproof fur. While the front teeth seemed to be adapted to grab prey (especially fish), the back ones looked like they were used to grind up the food they would catch. They also had large eyes, an adaptation that helped them spot their prey from a distant height. 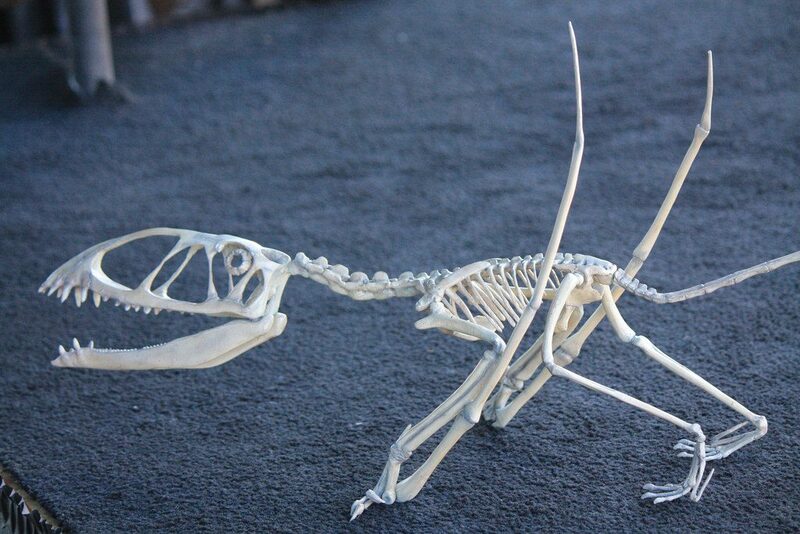 Little is known about the behavior of these winged reptiles. They usually foraged for food in the forest litter within their environment, feasting on various species of fishes, small mammals, reptiles and invertebrates including insects. Scientists think that these flying creatures fed their babies by spitting up already-eaten food right into their mouths. Recent studies have shown that these creatures were rather poor flyers with their disproportionate wings compared to their relatively stronger body. So, while hunting or moving, they would rely on short flights like the modern-day fowls. 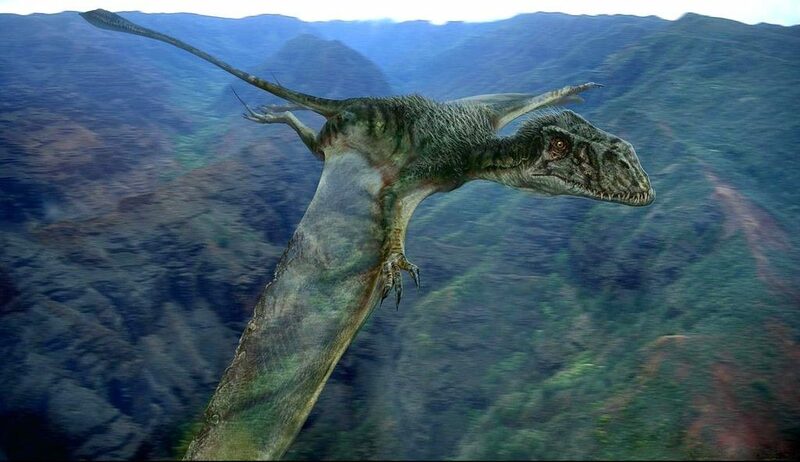 The dimorphodon had a brief appearance in the movie Jurassic World where it was shown attacking tourists with a group of other contemporary pterosaurs (winged reptiles). Published on February 11th 2019 by admin under Reptiles.